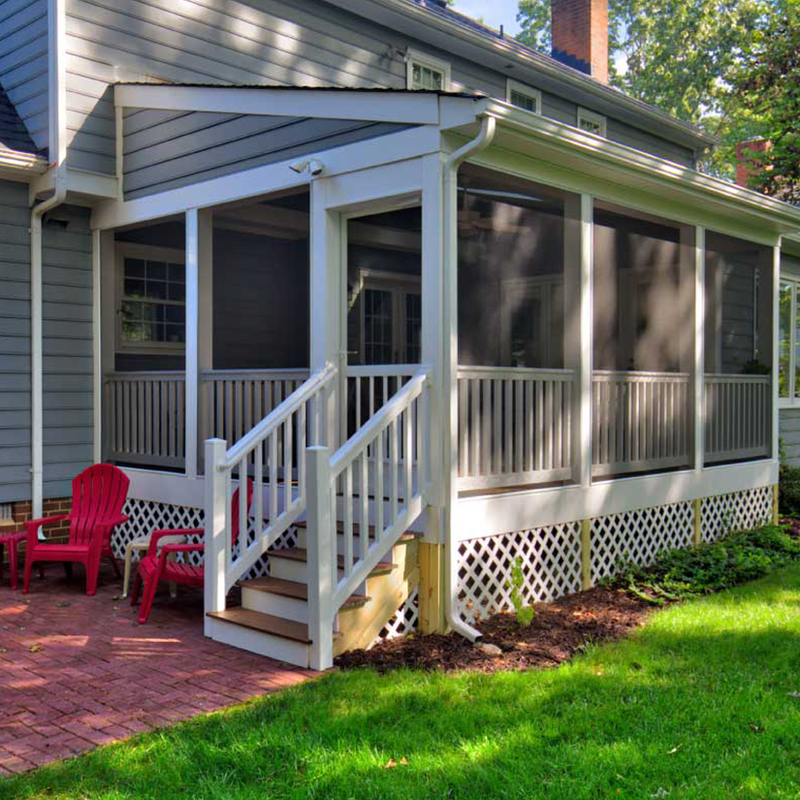 If you’re looking to add a welcoming entrance to your Richmond, Charlottesville or Williamsburg home, or you want to add a space for outdoor dining, a new or updated porch is just the investment to make. 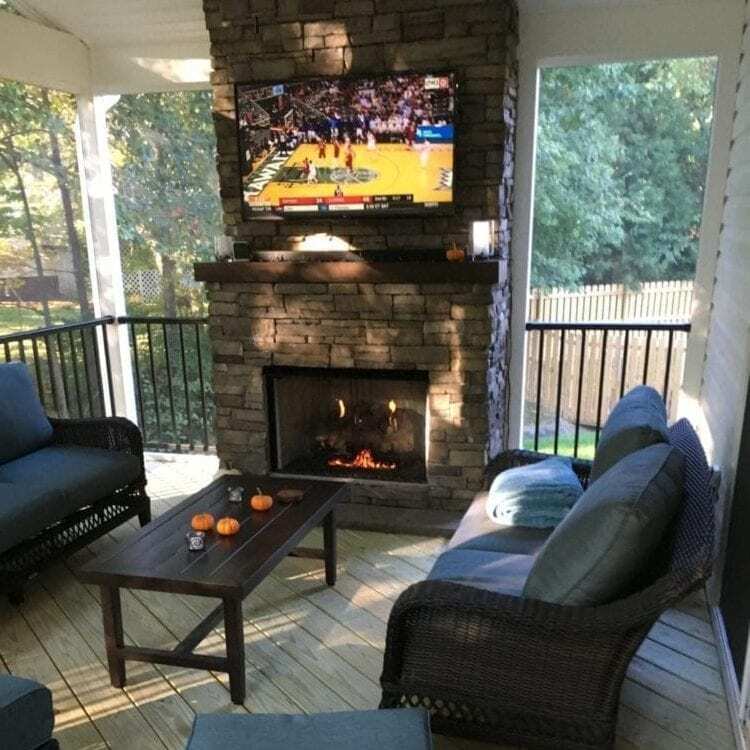 The professional porch builders at Deck Creations are ready to help you create the perfect front, back or screened in porch to give you an ideal spot for grilling or relaxation. 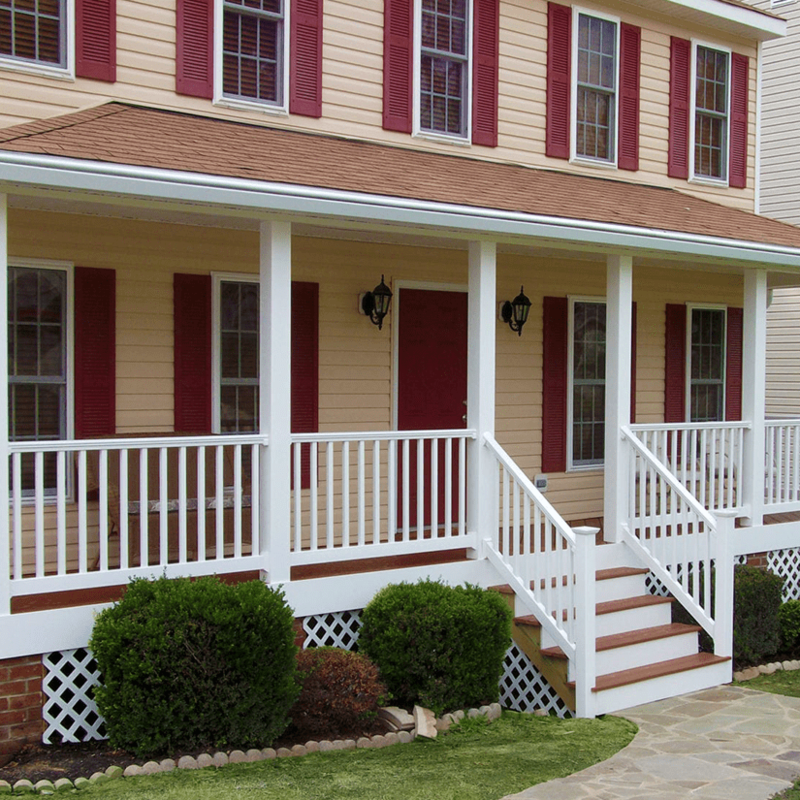 Back porches are a great way for homeowners to extend their living space into their backyards. They provide a perfect spot for entertaining or outdoor cooking. With overhead covering, the porch provides shade from the sun and provides a space that can even be enjoyed in less-than-ideal weather. Covered porches in either the front or back can add architectural beauty to a home. 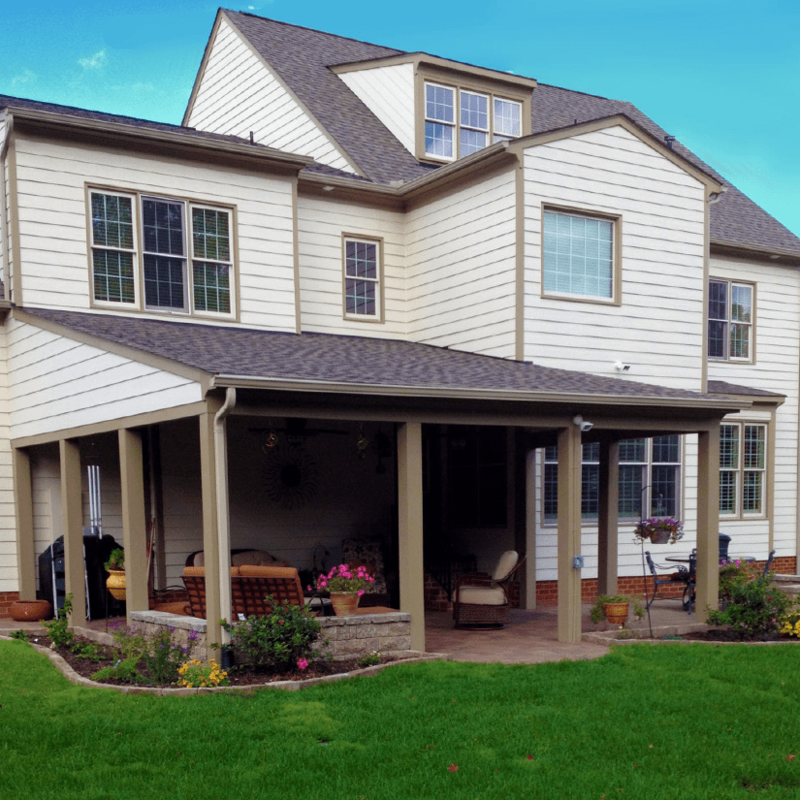 The design options are endless, and our porch builders at Deck Creations can help you make your porch dreams a reality. A screened porch lets in the fresh air and sunlight in while keeping pests and debris out. In any season – and almost any weather – a custom screened porch design and installation provides a cozy spot for reading, watching children play or enjoying the outdoor air and views without direct sunlight or bugs. 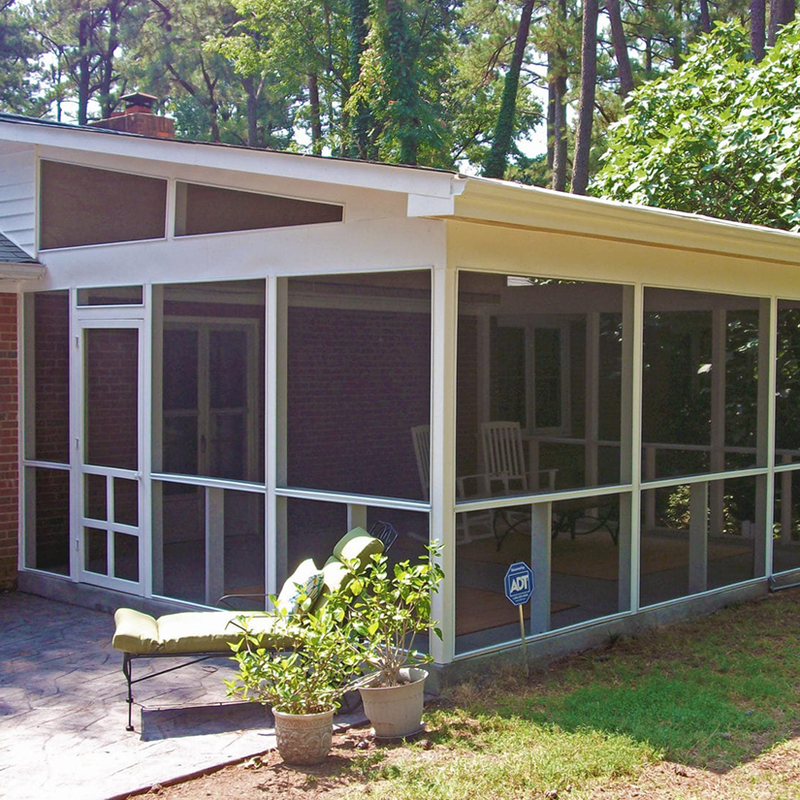 Screened porches also provide more privacy than other home addition options. 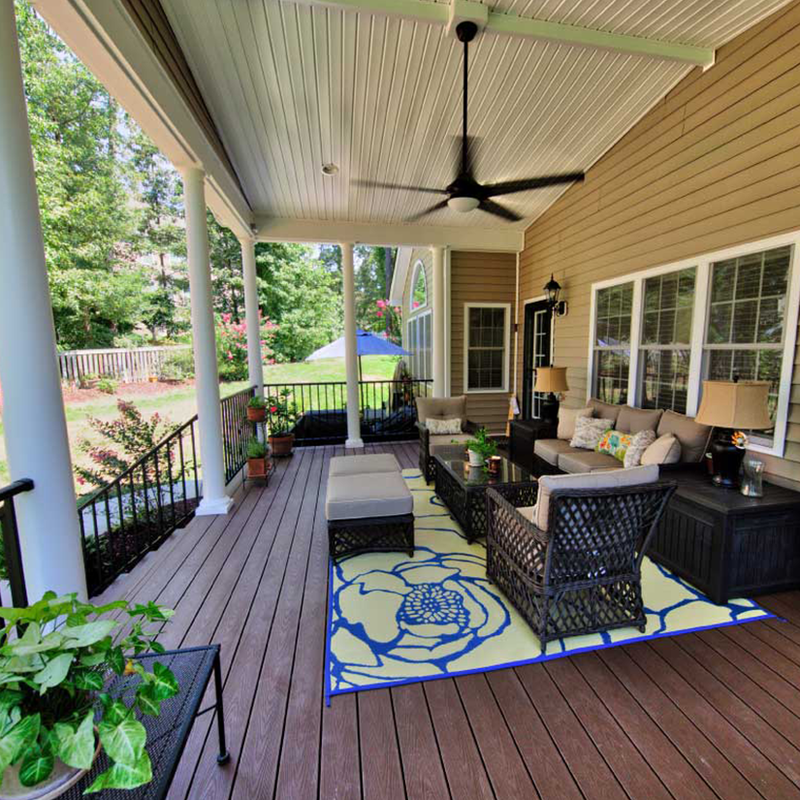 If you have an existing deck that needs to be renovated, one option is to convert the deck into a screened porch – providing you with the benefits of both a deck and a porch. Once you’ve selected which outdoor space best suits your needs, the fun begins! The screened porch builders at Deck Creations will help you design your personalized space with flooring, railing and posts that best fit the style of your home. We focus on getting the details right so that you can enjoy every square inch of your new screened porch. We believe that a high-quality porch is an excellent investment in your home. All our screened and non-screened porches are built according to industry best practices and, where applicable, all county and city ordinances. We also stand behind our work. All porches come with a 5-year warranty on the structure and a 1-year workmanship warranty. If you are looking to create the perfect space for hosting or relaxation, a new porch is an excellent choice. You’ll love working with our design team as we choose the ideal products for your style and budget. If you live in the Richmond, Charlottesville or Williamsburg areas, we are ready to help you turn your outdoor dreams into a reality. At Deck Creations, we strive for excellence during all stages of our projects from your free estimate to porch installation, and later, enjoyment. We are proud of our A+ rating at the Better Business Bureau as it is a strong testament to our commitment to exceeding our customers’ expectations. Our premier porch design and construction services are best evidenced by the high-quality, award-winning craftsmanship of our work. Contact a Porch Specialist Today!